Criticisms aside, organized labor is integrated into the prevailing political and economic system; so much so that it not only complies with the law but also lacks an ideology opposed to the prevailing capitalist system. Integration has even led to cooperative relationships between union leaderships and the companies with which they deal. Company-union collaborations are symptoms of nearly all unions’ loss of class perspective. Corporate capital, on the other hand, knows it is a class and acts accordingly. Unions have renounced class warfare, while their adversaries pursue it with a vengeance—against the workers unions are supposed to represent and defend. 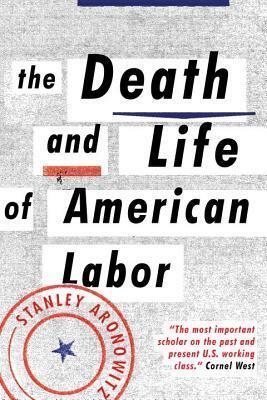 [...] For more than seventy-five years, the labor movement by law and by custom has been enclosed by and restricted to collective bargaining, with the goal of achieving a contract that seals in wages, benefits, a grievance procedure and specified work rules. In return for that security, workers and their union agree, crucially, to surrender their First Amendment right to withhold their labor. The penalties for violating these unconstitutional agreements are often severe: stiff fines, imprisonment of union officials and sometimes, as after the three-day walkout by New York City transit workers, a court order barring the automatic check-off of union dues. The contract is a compromise between labor and an employer, private or public. The workers agree to suspend most of their demands for a designated period of time, which grows longer in duration every contract season. In the past decade, that period has grown to as much as six years. Even if working conditions change, the employees cannot reopen the contract unless the employer consents. The contract has the force of law, and its violation can lead to serious consequences. The union is responsible for enforcing the contract, and for disciplining workers who violate the agreement through direct action. Of course, companies and state administrations themselves regularly bypass or brazenly violate the contract. To remedy these infractions, the union can grieve and finally arbitrate the violations. Increasingly, the arbitration process has been heavily weighted on the employers’ side, but workers have no other recourse, under the law of the contract. Consequently, if their issues are sufficiently serious, workers sometimes engage in wildcat walkouts and other job actions, such as work-to-rule or sabotage.8 Their union is obliged to renounce the strike or job action, and must “order” workers back to the job. Ironically, under the law the union acts as management’s police force. Under these conditions, the union tends to become conservative and can even become an agent of shop floor worker subordination. A minority of shop floor leaders and some officials do resist, but the weight of the law mostly prevails. Thanks to the weakening of workers’ rights—during economic booms as well as busts—collective bargaining is now mostly a kind of collective begging. Yet for most union officials and activists, collective bargaining remains a sacred cow to be cherished in the name of worker security. And, of course, as conservative state legislatures try to emulate Wisconsin’s and Indiana’s abolition of public employees’ collective bargaining rights, we can expect the next period of labor action to be a fierce struggle to preserve existing bargaining rights, even though employers in the private and public sectors have long exhibited their contempt for the institution and have ceaselessly undermined its dialogic assumption. In the 1970s and 1980s, labor’s forward march slowed and then halted. The ostensible cause was the fiscal crisis in state and local communities, which politicians, the mainstream media, and many economists ascribed to the disparity between rising public-sector labor costs and restricted tax revenues. Since this was also the period when many manufacturing facilities began migrating from the Northeast and Midwest to the American and global South, many cities and towns, in the vain hope of reversing or slowing down capital flight, scrambled to offer tax advantages, subsidies, and infrastructural concessions to business interests. Meanwhile, school budgets were slashed, some hospitals were closed, and local street and highways remained unrepaired. During the two periods of twentieth-century labor upsurge, collective bargaining was achieved, initially, through worker disruption. This direct action was followed by legislation giving workers the opportunity to vote in state-supervised Labor Board elections for bargaining rights. But it was the employers who demanded and eventually benefited from the establishment of an electoral road to union recognition: in time, union leaders came to rely less and less on members’ power and more and more on the law, and made steep compromises in order to retain the right to bargain. The real story of the past seventy-five years of labor’s journey is the successful subordination of unions. The union contract is a legal vise; the law that is supposedly the worker’s weapon is in fact a double-edged sword. When unions agree to long-term contracts of as much as six years, they are prohibited from striking for the length of the agreement. For the modest gains unions have made in legal guarantees, they have been obliged to surrender important rights. Labor law obliges a union to enforce its contract against illegal worker insurgencies, and in some states penalties are fairly stiff if union leaders sanction such actions. The law once helped unions to grow their membership, but after years of relentless and relatively successful right-wing attacks on workers’ rights, some unionists have come to realize that the Labor Relations laws at the federal and local levels are mostly rigged against labor. In the 1980s, AFL-CIO president Lane Kirkland proposed the repeal of the National Labor Relations Act, because it had become so watered-down, it no longer served workers’ interests. Yet this idea has not been introduced into the dominant vocabulary of union discourse; far from fighting to repeal the law, union leadership is reluctant to challenge or even strategically evade it. Labor remains committed to “reforming” it. But the sorry history of forty years of that effort attests to its futility, even in states where Democrats have had legislative majorities. But it would be shortsighted to count on a new labor movement emerging within the confines of the existing unions. Throughout the country, new organizations are struggling to survive. Some of these are workers’ centers; others are unions formed, especially by the working poor, without early prospects for achieving collective bargaining. The New York Taxi Workers Alliance, with about 15,000 members, relies almost exclusively on brief strikes, highway blockages, and city hall demonstrations to win its demands. The members negotiate informally with the city’s Taxi and Limousine Commission. The workers’ centers mobilize strikes, but not for the purpose of gaining union recognition, which, especially in manufacturing sectors, could result in capital flight. What they usually want is unpaid back wages, better safety conditions, and reinstatement of workers who have been fired for union activity. Our current general economic crisis at a time of very concentrated wealth and extreme income inequality has its own peculiar features, but in broad outline it is by no means new. Such crises have afflicted all levels of our government for centuries. During our nineteenth century’s Gilded Age, the emerging trusts exercised an almost unchallenged rule over the private-sector workplace and government at all levels. The labor movement then—both unions and radicals—was very weak, and it was relatively easy for ruling elites to address a crisis by shifting its burden onto workers and local communities. There were, of course, some real struggles to break the success of these relentless capitalist offensives: the great rail strikes of 1877, 1884, and 1894; the Homestead Steel Strike of 1892; turn-of-the-century coal- and copper-mining struggles; and, in 1886, the beginning of labor’s half-century fight for the eight-hour day—a revolutionary concept at a time when the workday ranged from ten to fourteen hours. Unions also fought for legislation against child labor and (egregiously) against women’s right to work nights and operate some machinery. Many of these battles were lost, but they planted the seeds of a major reversal in the relationship of political and social forces between capital and labor. Meanwhile, their failure to pass and thus mitigate the extreme concentration of wealth and curb the reckless accumulation of further wealth set the stage for the crash of 1929 that launched the Great Depression.